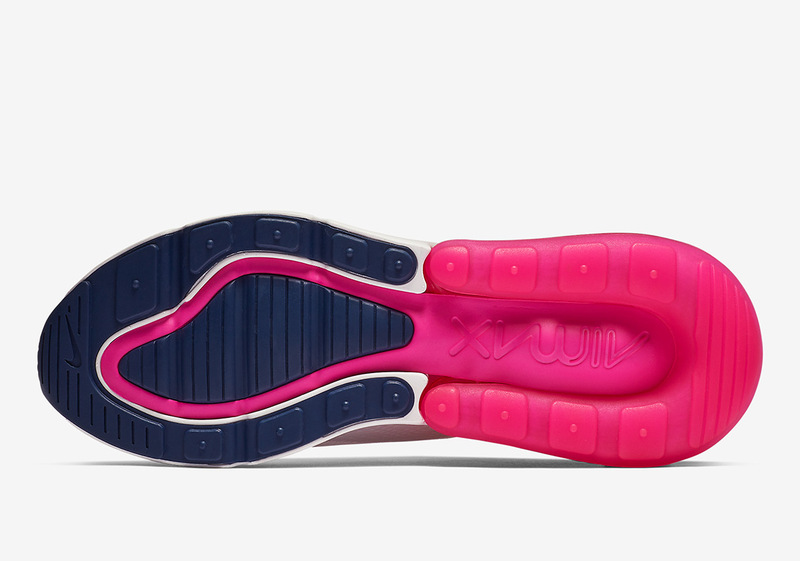 As February approaches, Nike is making it clear that it is ready to introduce the world to the brand New Air Max 720 silhouette, the first Air Max sneaker to equip a 360-degree lifestyle-engineered Air unit. 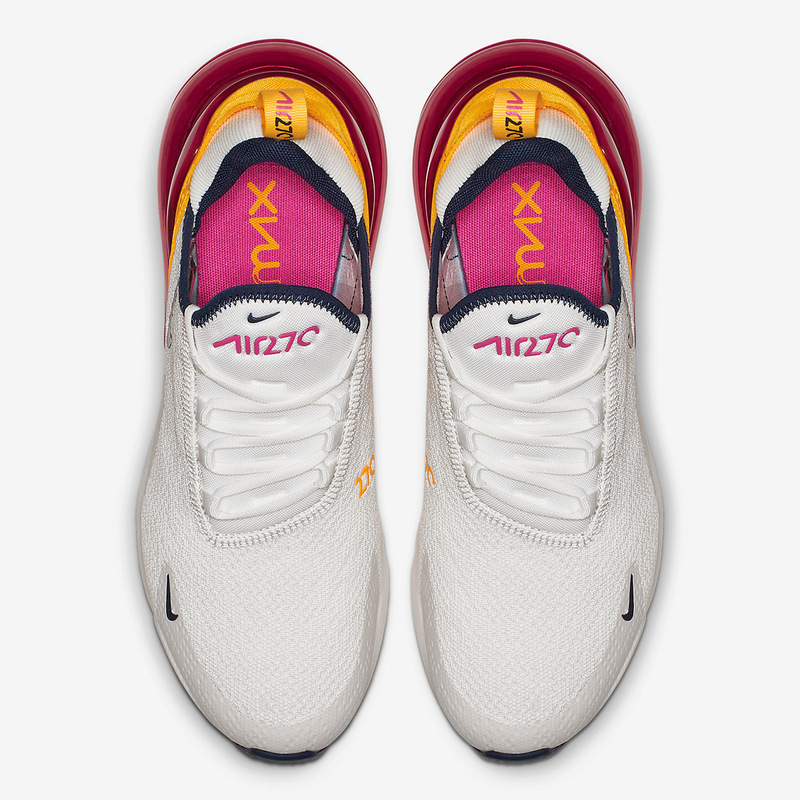 That being said, the 720 would be nothing without its 270 predecessor, as it borrows the same bubble from last year’s Air Max Day marvel that has gone on to become an integral part of Beaverton’s recent success. 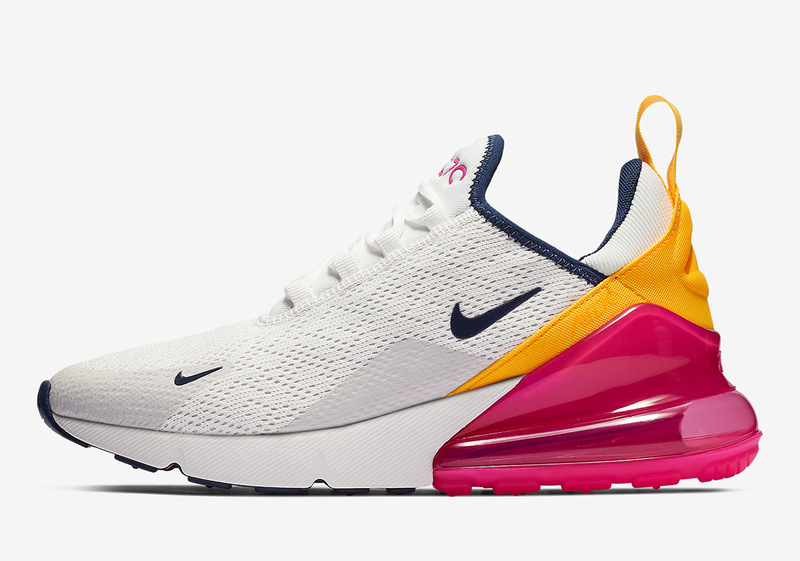 Showing no signs of fading away, the Air Max 270 is back for the ladies in a tasty color scheme resemblant of some delicious flavors of sorbet. Anchored by a white mesh base, this NSW offering’s focal point arrive via its heel, mixing together Laser Fuchsia as well as a golden yellow hue, while Midnight Navy tones the sneaker down just a but on its inner lining and outsole. With pairs expected to arrive on Nike.com and Swoosh stockists around the globe on 2/22, female sneakerheads should enjoy an official look below and check out our Sneaker Release Dates page for more on other Nike shoes while they wait. 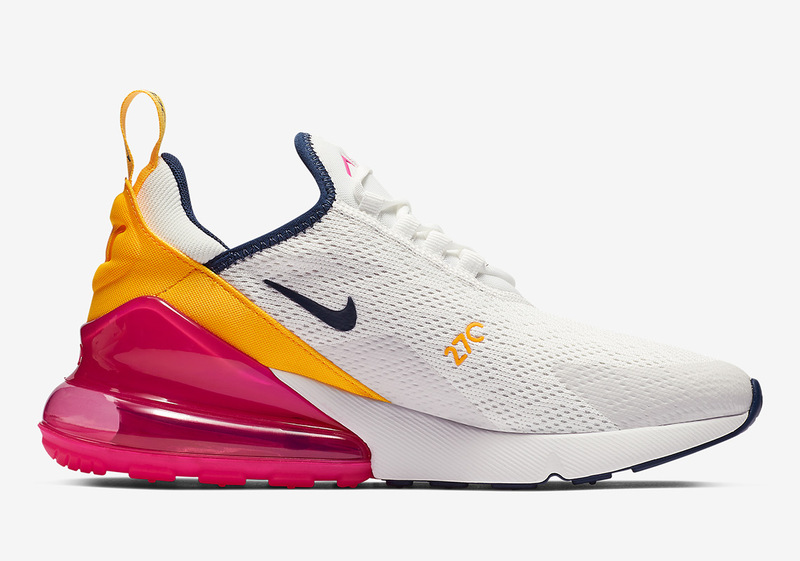 The post Nike’s Prized Air Max 270 Returns In Sorbet Colors appeared first on Sneaker News.